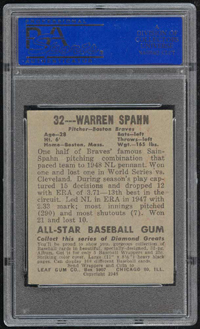 Baseball's winningest lefthander, Spahn didn't even stick in the majors until he was age 25. With the Braves, he won 20 games or more in 13 seasons, tying the major league record. 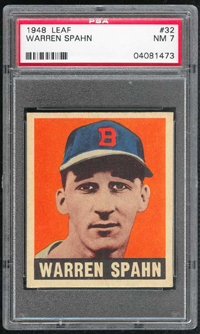 He led the league in wins eight times, complete games nine times, and strikeouts four times. He won the Cy Young Award in 1957, its second year of existence. 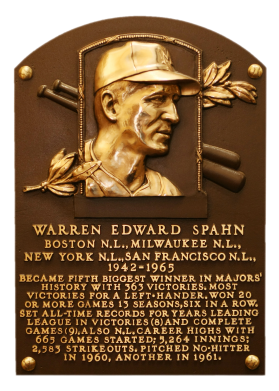 After 21 years, Spahn retired with 363 wins, 245 losses, a 3.09 ERA, 382 complete games, and 63 shutouts in 5,243 2/3 innings pitched. 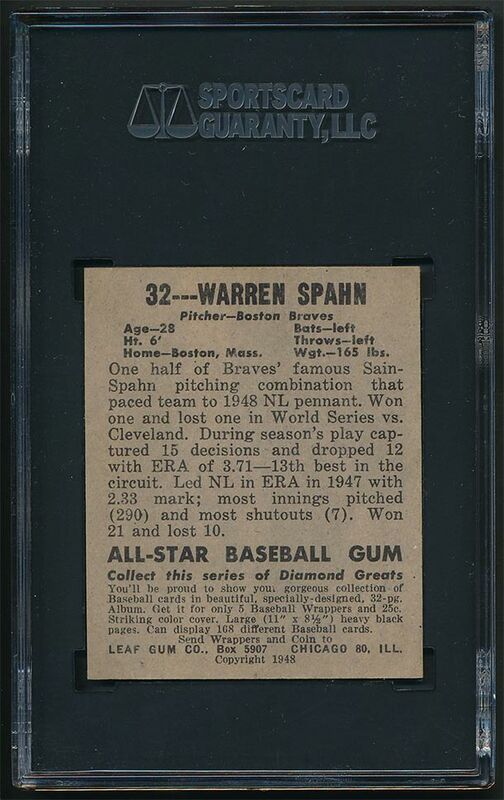 Comments: High-end ROOKIE card of the winningest left-handed pitcher of all-time. 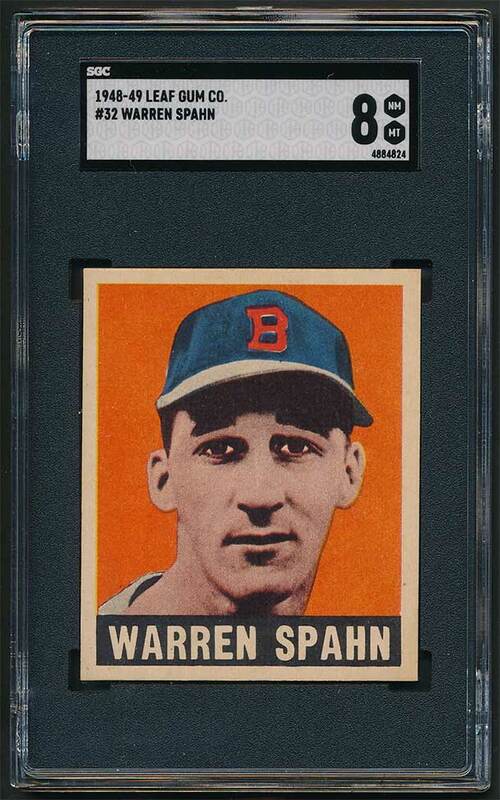 Near perfect centering, very strong corners and great color on this super-appealing card! This PSA 7 rookie card of the great lefty was purchased from Chris Kersich at Big Sportscards in August, 2000.